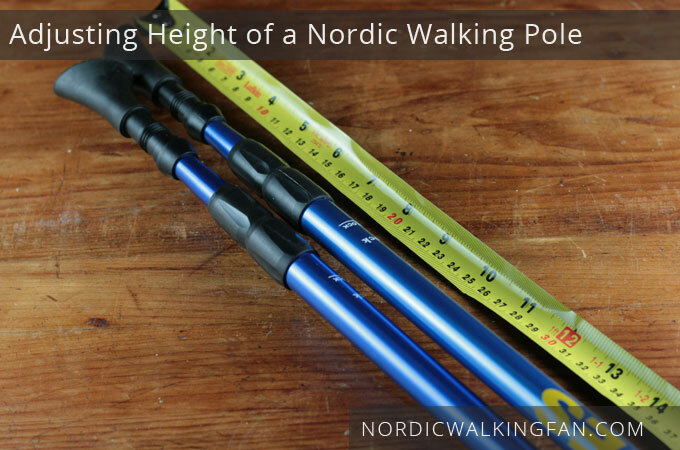 Adjustable Nordic walking poles come in 2 or 3 sections; you adjust the length of each section to get the overall pole length just right for you. (b) 90 degrees plus a bit more downwards — that is, about 100 degrees down. This involves just a bit of math. That’s the theory anyway. If it doesn’t feel right, you can always try method (1) instead! 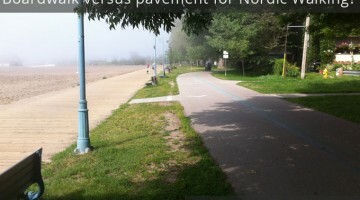 Either of the two methods above should give you the correct, normal length for you for a normal Nordic walking work out. 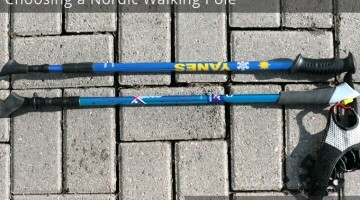 For less of a workout, which some professionals recommend for beginners and people who are a bit out of shape, have the poles shorter by a cm or two than normal. 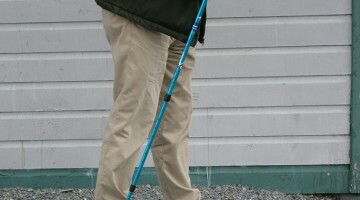 For more of an upper body workout and a slightly harder workout overall, lengthen the pole by a few cm from normal.